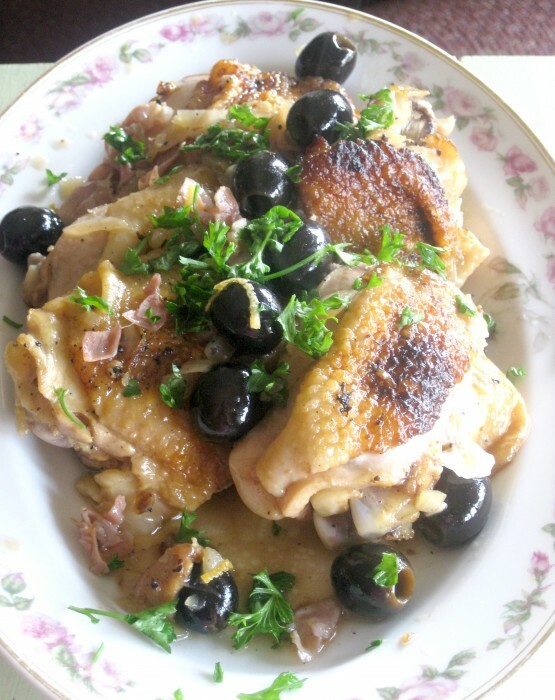 Vermouth-Braised Chicken with Olives and Prosciutto. A great French recipe for the slow-cooker. 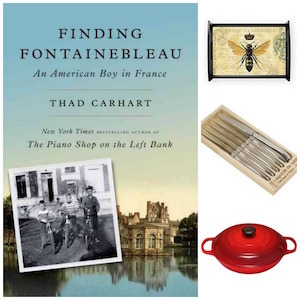 A question that comes up now and then is whether my recipes—or any great French stews and braises—can be adapted to the slow cooker. The answer is yes, if you choose the right recipe and tap into a few concepts. * Choose French recipes that call on tough cuts that are great simmering cuts. In my book, the following cuts come to mind: beef and lamb stew meat, beef short ribs, pork shoulder, meaty chicken pieces (legs and thighs, especially), bone-in pork chops, lamb blade chops and baby-back pork ribs. Recipes for these meats are in the Roast, Stew, or Braise chapter of my book. * Find another slow-cooker recipe you know and trust that calls on the same kind of meat in roughly the same amount. 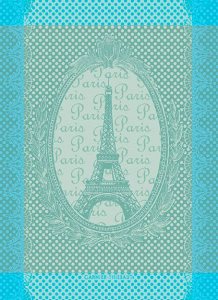 You’ll use the cook times in this recipe as a guideline for your French recipe. * Your slow cooker should always be at least 1/2 full, but less than 2/3 full. So when you’re at the meat counter, consider the size of your slow cooker, and go up or down on the amount of meat as needed to achieve this volume. Yes. 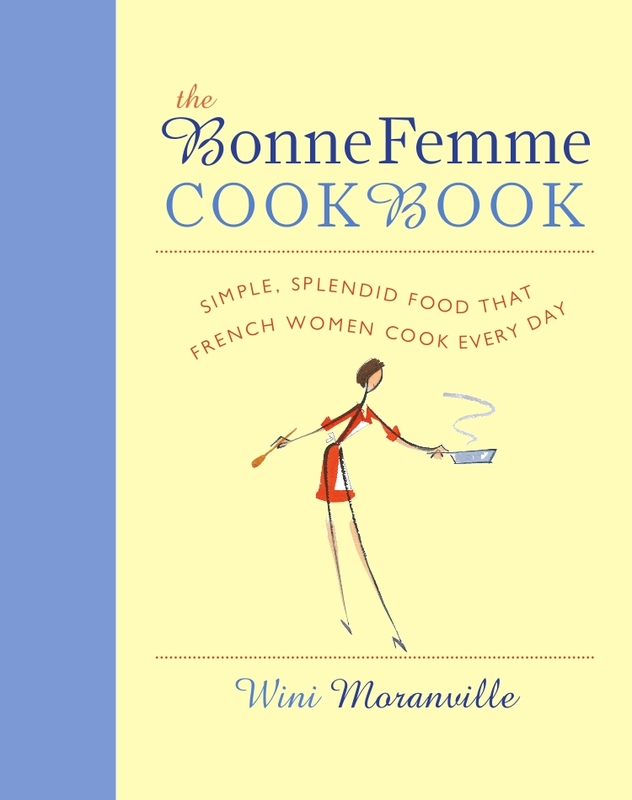 The French use slow cookers (they’re called a “mijoteuse”–a simmer-er), but they’re not nearly as ubiquitous as they are in the US. * Trim excess fat from the meat and cut the meat as needed to fit into the cooker. * Brown the meat as indicated in the recipe. Place it in the slow cooker. Follow instructions for preparing the cooking liquid (in my recipes, usually this includes sauteing onions and garlic and adding some wine, broth and seasonings, and cooking it down a bit). 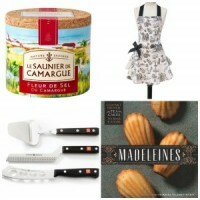 However, use only one-half the amount of liquids called for in the French recipe. (That is, if a recipe calls for 1/2 cup vermouth and 1/2 cup chicken stock, use 1/4 cup of each). * Pour the cooking liquid over the meats. Cook according to the timings given in your tried-and-true slow-cooker recipe, checking at the earliest point in the range given. * If there are finishing touches to the original French recipe (such as olives and prosciutto added at the end of cooking, or pearl onions and mushrooms sauteed toward the end of cooking), do this about 1/2 hour before your recipe is finished. * If the French recipe calls for removing the meat and simmering the liquids to reduce them, you can do this in the slow cooker, uncovered, on high. It may take a while, so if you’re in a hurry, transfer the liquids to a pan and do this atop the stove. 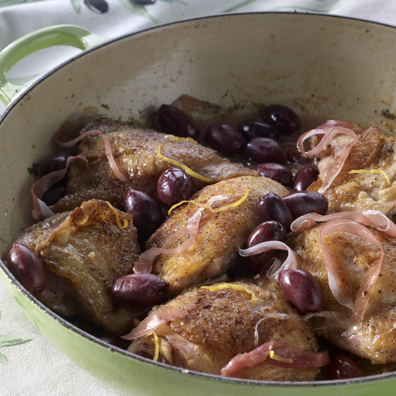 To test this strategy, I gave the Vermouth-Braised Chicken with Black Olive and Prosciutto a try (click on the link for the recipe). It worked beautifully, though I must say that the chicken was done in much shorter time than in the slow-cooker recipe I used as a guideline. (the slow-cooker book said 3 1/2 hours; mine was done in 2 hours). So check your meats–especially chicken–often. Also, I love serving this with Any-Night Baked Rice. Olive-Prosciutto Chicken: I traditionally make this in my braiser, but you can also make it in a slow cooker. Isn’t a Mijouteuse a pressure cooker? No, I’m pretty sure it’s a slow-cooker. I’ve seen them in France (very rarely, I might add). Mijoter means “to simmer,” so I would think that would mean slow cooker (not pressure cooker). 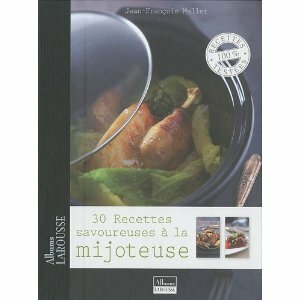 a pressure cooker in FR is ‘cocotte minute’ or ‘autocuiseur’, indispensable in the FR household. Just happened across this page, you reinforce what I’ve been thinking all this time, thanks !